One of the more notable things about this first show was the array of "unique" vehicles that showed up to participate. 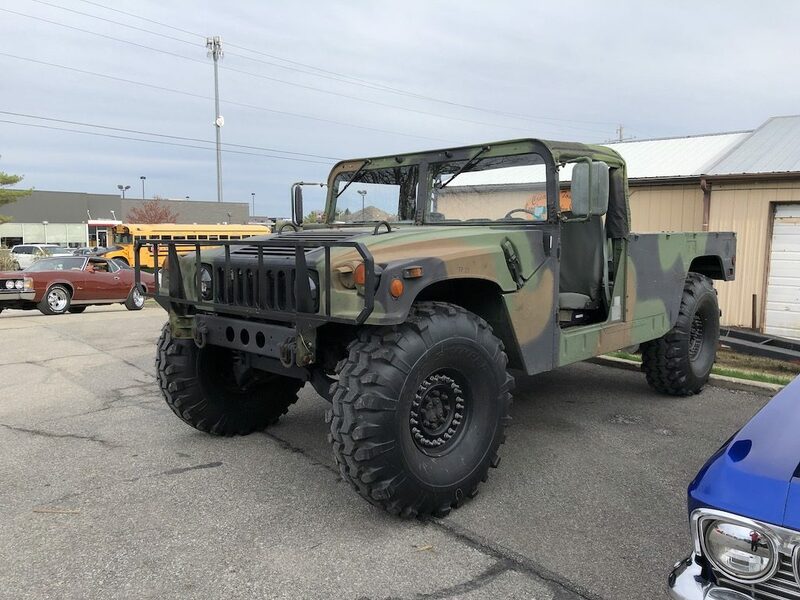 The first of these was the 1994 AM General Humvee belonging to Matthew Turner. Greg Gilders brought his all original (except the wheels and tires) 1986 rotary engine Mazda RX7. This 2003 Mustang GT convertible has 195,000 plus miles on it and is the owner's daily driver. The condition of the car is unbelievable for that many miles. And thank you, sir, for your service. A car you don't see at many shows is a Studebaker Avanti. This 1963 Avanti belongs to Paul Rose. I'm assuming from the photo in the back window, Paul is the original owner. The "sleeper" of the evening was this 1963 Volkswagon Beetle owned by Mark Siders. Don't let the exterior fool you, inside the trunk is a 5.3 liter LS truck motor connected to twin turbos. Mark says his VW is putting down about 650 HP to the wheels! A Mustang front end was required to get the LS engine to fit in the trunk. Saturday morning, Columbus Cars and Coffee held their first meet of season 11 at the Whitehall Community Park in Whitehall, Ohio. Just so everyone's not confused, there are actually TWO Columbus Cars and Coffee meets in the area. 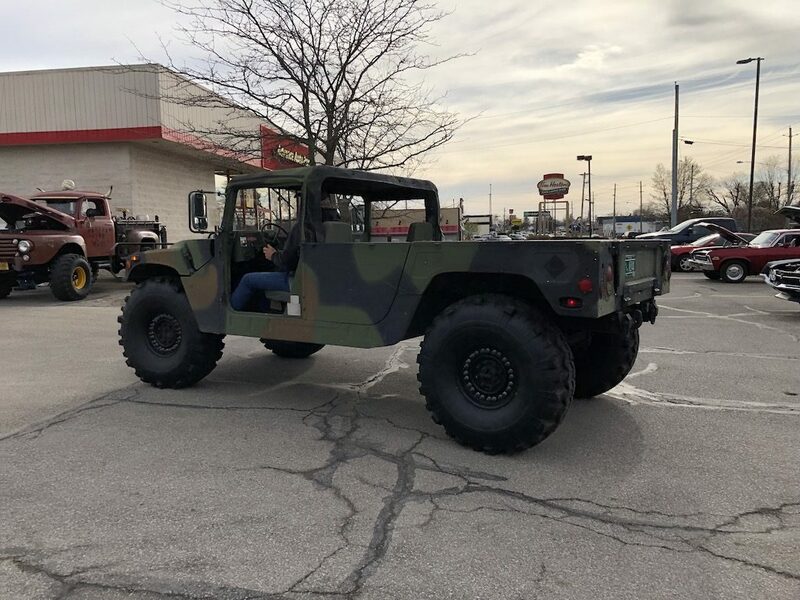 One is organized by a casual group of automotive enthusiasts and meets every Saturday morning, rain, shine or snow, at the north parking area at Lennox Town Center beside the AMC Theatres and Champps restaurant. 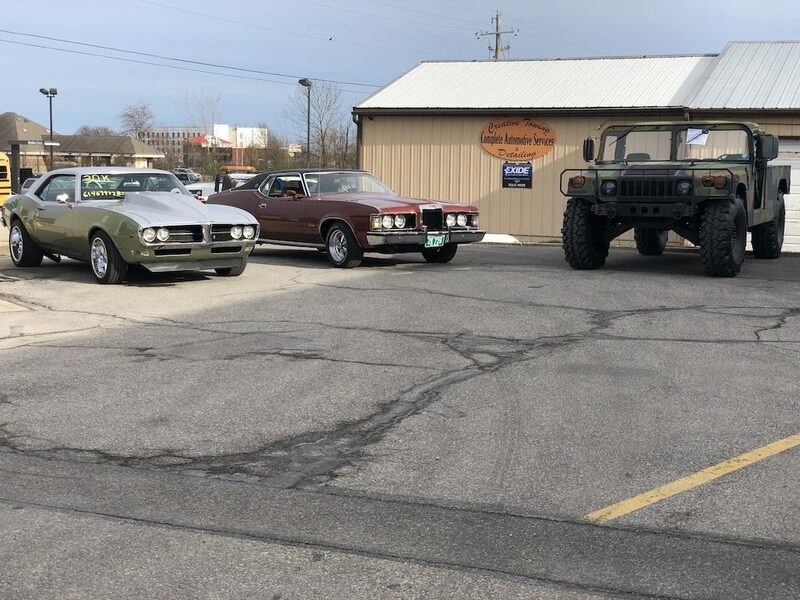 The other Columbus Cars and Coffee was founded in 2009 by Paul Milligan as a way to foster a community of exotic, classic and performance car enthusiasts in and around Ohio. This one has corporate sponsorship and a set schedule of events each season that are held at different locations around the area. Milligan is also the creator of the Exotics on Scioto Mile event. He serves on the Board of Directors at The Buckeye Ranch and the Bobby Rahal Foundation Rally for the Ranch. Okay -- clear on the differences between the two? Starting from now on, I will refer to one as the Lennox Columbus Cars and Coffee and the other as the Milligan Columbus Cars and Coffee. I had full intentions of attending the Milligan Columbus Cars and Coffee at Whitehall Park on Saturday. However, my nearly 17-year-old dog developed some mobility problems on Friday evening and I decided it was best to stay home with her on Saturday. She seems to be doing a little better thank goodness. Per usual, the Shankles came to the rescue with lots of photos from the event. It looks like the first meet attracted a nice mix of classic, domestic and exotic vehicles. The blue Cadillac is a "killer" in my book. The next meet will be April 27 at Esoteric Fine Auto Finishing in New Albany, Ohio. That's all for this week. Because of Easter next weekend, all the events are scheduled for Saturday. Let's hope the weather cooperates. Great minds think alike. No question I have a thing for the "big boat" Cadillacs. For a first time event, it was very well organized. I really enjoyed it. There were a lot of classic cars, current American Muscle cars, and of course, the exotics. I've registered to attend this year's show. Speaking of registration, I think you had to pre-register if you want to show your car. If you haven't registered, I would recommend you call the Toy Barn and ask them if you can still bring a car on Sunday. Ah ha...I forgot...just read your report. Thanks for as always great info as usual.